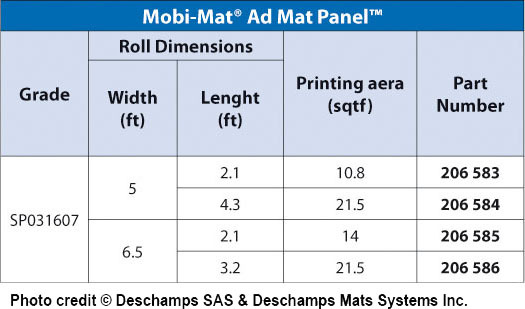 Ad Mat Panel™ - Mobi-Mat by DMS Inc.
Deschamps Mat Systems Inc. offers you complete in-house design capabilities. 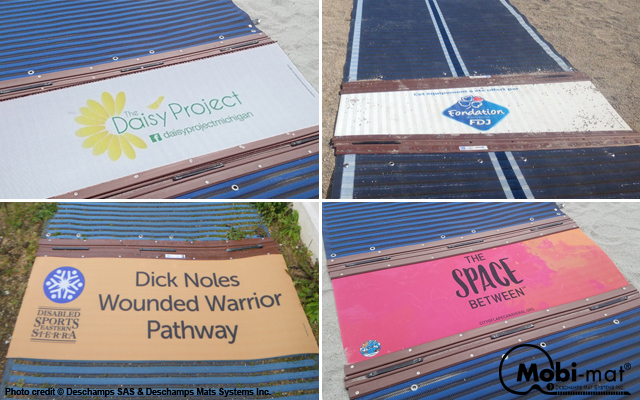 Our Design Division features custom printed options for Ad Mat Panels, made using eco-friendly materials. 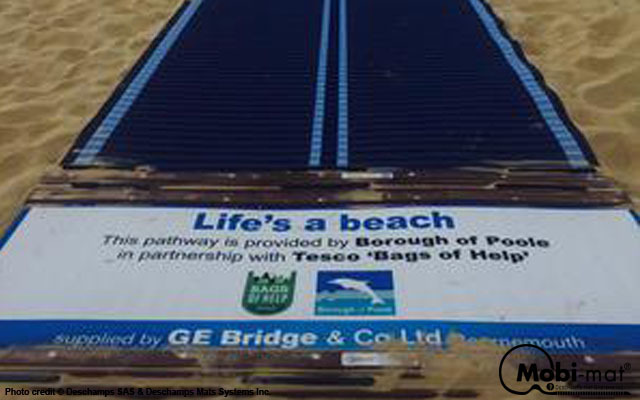 With a full graphic art department as well as a technical Textile Design Team to work with you, we take pride in our relationships with our customers. 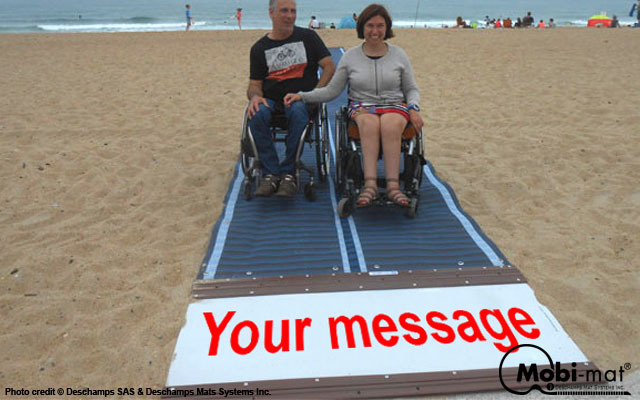 DMS’ Ad Mat Panel™ combined with Mobi-mat® portable beach access mat offer comfort for beach goers of all ability, elderly people, wheelchair users, parents with strollers and delineates a clear non-slip pathway for all. 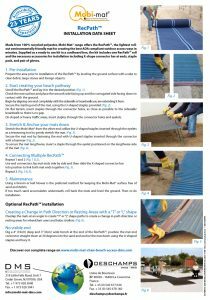 Quick installation and dismantling, remove sand with a broom and store in rolls during the low season. 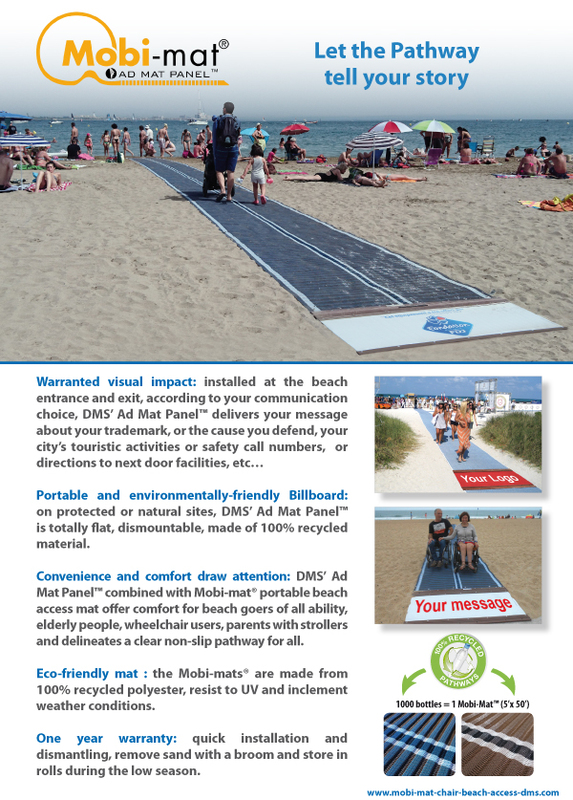 On protected or natural sites, DMS’ Ad Mat Panel™ is totally flat, dismountable, made of 100% recycled material. 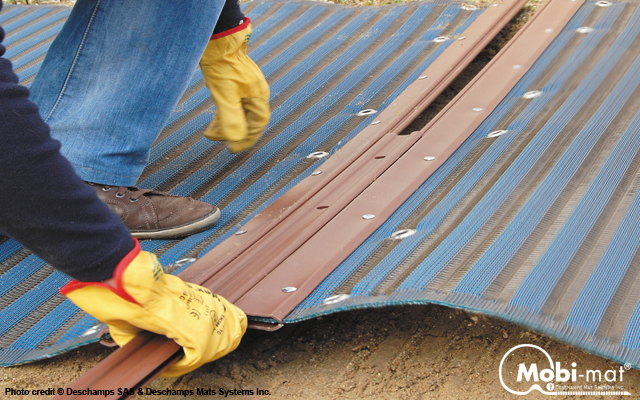 The Mobi-mats® resist to UV and inclement weather conditions.